We offer a wide variety of state-of-the-art options for vision correction. 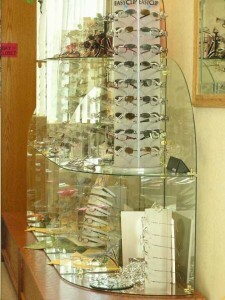 As a local Fort Collins vision correction and Eye Doctors Office, we provide one of the most unique eye-wear selection of any Fort Collins Optical Boutiques. Our contact lens service are comprehensive including soft disposable lenses, toric contact lenses, multi-focal contact lenses, and specialist fittings for difficult cases such as Keratoconus, dry eyes, and astigmatism. If you live in Fort Collins and have glaucoma, we not only provide diagnosis and treatment for glaucoma but also will spend the time you need to feel comfortable that your eyesight has the best corrective eye wear possible. We regularly schedule Fort Collins lasik consultations and provide alternatives such as 30-day extended wear contact lenses and corneal refractive molding (orthokeratology). Fort Collins Colorado has one of the most active, outdoors, sports oriented lifestyles in the country and we provide many different forms of vision correction in Fort Collins to help you achieve and perform at your best for hiking, skiing, cycling, soccer, baseball or whatever outdoor activities you enjoy.